Eating Out. 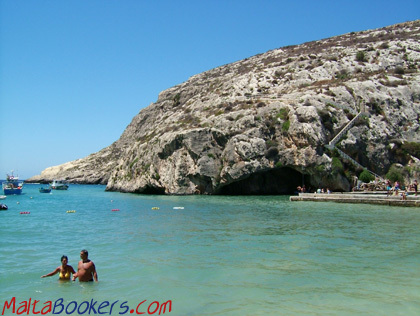 Xlendi Bay is nothing much for a Sandy Beach, you can still have a swim but thats not why you would go there. The bay is surrounded by restauarants, none of which ever dissapointed me. From the Bay you can continue to some walks on both sides. The views are excllent and the paths seem to never end! Go to Xlendi, have a good meal, drink some wine, have a swim and then go walking to burn your food out. If you're courageous enough, try some cliff diving on the right side. Getting there. Drive to Rabat (Victoria) and follow signs to Xlendi. Bus number 87 gets you there from Victoria.